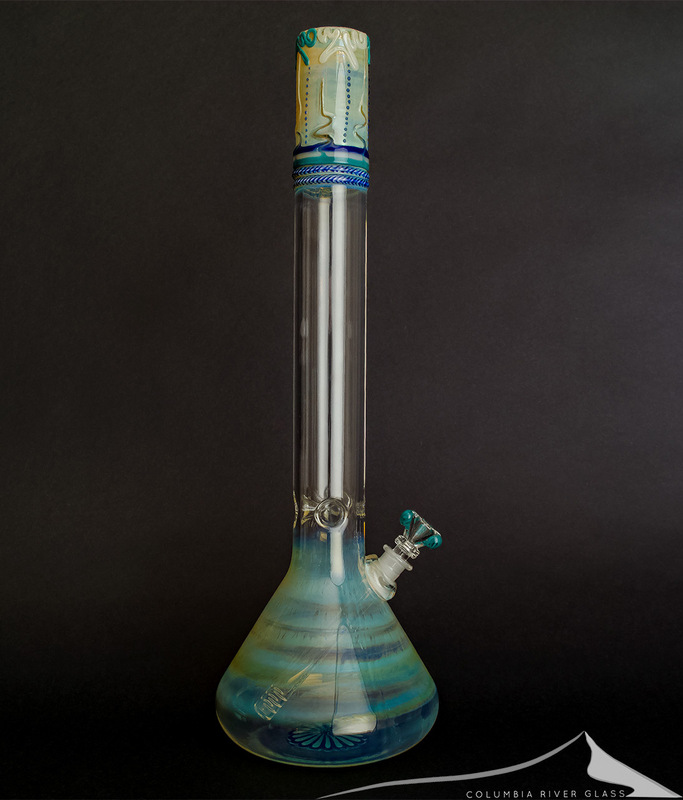 A beast of a piece from HVY Glass. A large beaker with heady boro drawing and fuming that really sets it off. A full 20 inches tall with a huge water reservoir, this bong will function like mad. 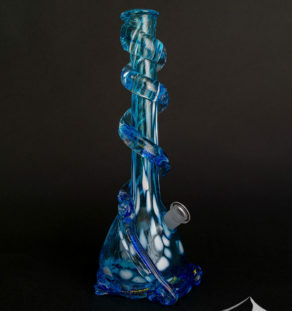 The mouthpiece has dark blue, teal blue, and heavily fumed boro drawing with a dual retti border. Ice pinches are really tight on this neck and if you fill this neck with crushed ice your draw will be like a cool breeze in Alaska! 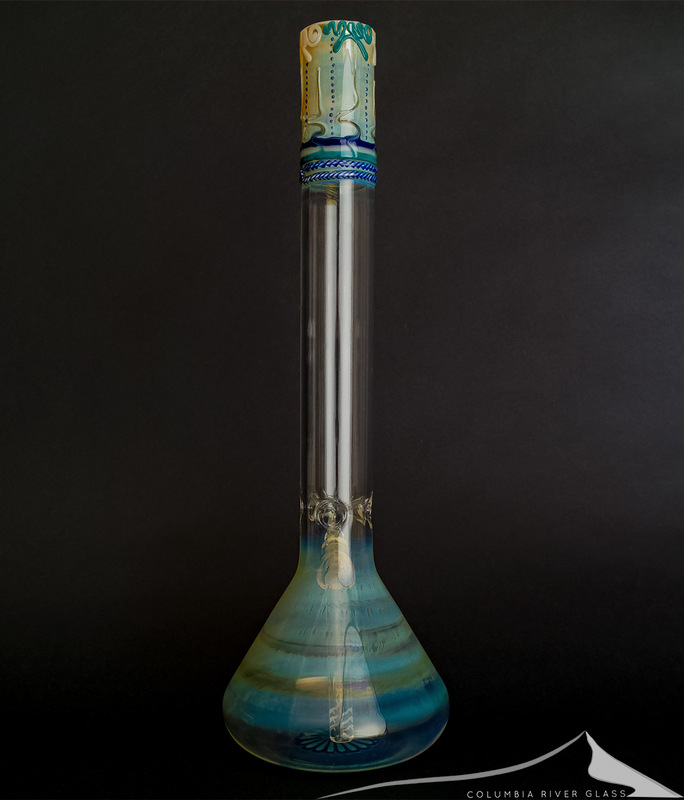 The large base is heavily fumed with silver and gold giving beautiful bands of yellow and blue colors. 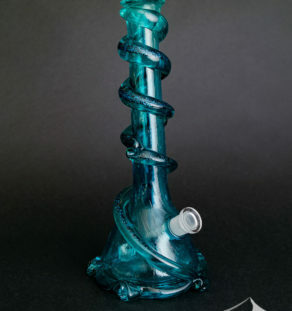 There’s a dark blue and teal boro flower on the bottom of the base. The oversized flower bowl with teal highlights is included. 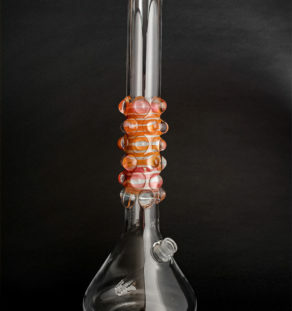 Beautiful work from HVY Glass!